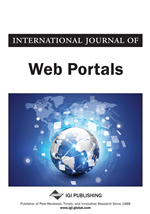 This article presents strategies for enhancing the long-term business and user value of portals as the third in a series of articles describing a Portal Design Framework. This article identifies essential Enterprise 2.0 functionality for collaboration and dialog—capabilities that support emerging Social Business practices—included in the Building Blocks Design Framework. The author discusses portal management and governance best practices and describes strategies for maintaining and enhancing the user experience of portals designed using the Building Blocks Framework. Portals gather and present content from a wide variety of sources, making the assembled items and streams more valuable for users by reducing the costs of content discovery and acquisition. By placing diverse content into close proximity, specialized forms of portals such as the dashboard support knowledge workers in creative and interpretive activities including synthesis, strategy formulation, decision making, collaboration, knowledge production, and multi-dimensional analysis. At heart, however, aggregation is a one-way flow. In the aggregation model common to many portals, content is collected, organized, and perhaps distributed for use elsewhere, but nothing returns via the same channels. Savvy users quickly see that the greatest value of aggregative experiences and tools lies in their potential contributions to two-way flows. They understand that experiences capable of engaging direct and indirect audiences transform portal and dashboard content into a broadly useful resource for communities of much greater scope and impact. Further, business staff and IT users comfortable in the new world of Enterprise 2.0, DIY / mash-ups and shadow IT now often create their own information technology solutions, assembling services and tools from many sources in new ways that meet their individual needs. Provide rich contextual information about the origin and nature of dashboard or portal content to users (context is crucial, especially in a fragmented and rapidly moving enterprise environment). Improve the quality and consistency of the user experience of aggregated content. Improve the portability of content, making it useful outside the boundaries of the dashboard. Allow dashboard users to take advantage of other tools available from outside the immediate boundaries of the portal. Operatively, this means providing two-way channels that make it easy to share content with others or even ‘take it with you’ in some fashion. The building block framework is ideal as a robust foundation for the many kinds of tools and functionality – participatory, social, and collaborative – that support the design vision of two-way flows within and outside portal boundaries. Define standardized convenience functionality that could apply to all blocks: This will provide a baseline set of common capabilities for individual blocks such as export of Container content, printing, etc. Define utility functionality offered at the Dashboard or Dashboard Suite level: This captures common productivity capabilities for knowledge workers, linking the dashboard to other enterprise resources such as calendars and document repositories. Define common metadata attributes for all Container blocks, to support administration and management needs. Define presentation standards that balance flexibility with appropriate consistency within Container blocks, and across the user experience. Define user roles and types of blocks or content to allow quick management of items and functionality in groups.